Every aspect of the current confrontation between India and Pakistan -- which, I fear, may not be over yet -- was avoidable. The initial attack on Indian paramilitary soldiers, in which 40 of them died, was claimed by Pakistan-based Jaish-e-Mohammed, a terrorist group which has been allowed to thrive by that country’s military establishment. The attack itself required sophisticated organisation and hundreds of kilograms of explosives. Not preventing it was an Indian intelligence failure for which nobody has yet been held accountable. After the attack, some form of retaliation was always on the cards, but the Indian government made the particularly risky choice of ordering airstrikes on a target within Pakistan proper. Although it claimed the strikes were a failure, Pakistan nevertheless chose to retaliate in turn. When it did, its front-line fighters had to be engaged by Indian warplanes that included the MiG-21, which many Indian aviation experts worry is too outdated for such duties. In the process, an Indian pilot was shot down and taken prisoner. While the pilot is being sent home, we in South Asia now live in a region in which two nuclear-armed adversaries send planes to bomb each other’s territory. This is a profoundly disturbing turn of events. Pakistan is busy congratulating itself on how things have turned out so far. This is unwise and premature. Premature because there is no reason to suppose that Indian Prime Minister Narendra Modi -- who on Thursday called the airstrikes a “pilot project,” implying they would be scaled up in the future -- will be satisfied with anything other than the total rhetorical victory his camp followers in the Indian media have already promised voters. And it is unwise because the world’s reaction to the Indian airstrikes, unprecedented though they were, was notably unfriendly to Pakistan. Pakistani leaders -- or, more precisely, the generals in Rawalpindi that really run the country -- have few friends left. Even the People’s Republic of China urged only that “sovereignty should be respected” -- criticism, in its way, of both sides and not just India. Pakistan remains dependent on the world’s goodwill. Its economy survives from bailout to bailout. It needs to avoid alienating Beijing, Saudi Crown Prince Mohammed bin Salman and the International Monetary Fund all at once. And yet Pakistan constantly gets itself into these uncomfortable situations, where it finds itself provoking a confrontation with India, in over its head, and needing to call on a reluctant international community to rein in its incensed neighbor. The last few times, the generals’ dangerous indulgence of jihadist militants has been the proximate cause. But, the pattern has repeated itself over and over again since Partition in 1947; something deeper is at work. Meanwhile, for India, the lessons are equally stark. Its finance minister crowed in a poorly-timed press conference on Wednesday, the same day an Indian pilot was shot down, that India could now strike into the heart of Pakistan the same way the US had taken out Osama bin Laden. This is an almost laughable over-estimation of India’s capabilities at this point in its development. You have to be able not just to get in but to get out, and be powerful enough to be untouchable thereafter. India has diplomatic support at the moment. But that goodwill has been bought by decades of strategic restraint and could easily be blown up by badly-planned adventurism. India is a huge country. It is young and impatient. But, its leaders do the country a serious disservice by trying to pretend that it can behave like a superpower before it builds up the necessary economic and diplomatic muscle. Deng Xiaoping famously told his country to “secure our position” and “bide our time.” In this, as in much else, India’s leaders have something to learn from Deng. India is large enough and grows fast enough that, just over the past five years, its economy has added three Pakistans. In a decade or so, if it focuses on growth and development, it will be better equipped to deal with problems such as Jaish-e-Mohammed. The best revenge is living well, as they say. As for Pakistan, if it wishes to retain the autonomy of decision-making that is true sovereignty, it had better work on strengthening its economy. Too often it looks to saviors -- once the Americans, now MBS and Xi -- as if pumping money in from outside is a sustainable solution. Per capita income growth in Pakistan is less than half that in India; it has already been overtaken by Bangladesh, once its poor and despised eastern half. If only Pakistan focused on its economy, it would no doubt find it less and less necessary to seek self-respect though its military. As I said, every aspect of this current confrontation was avoidable. 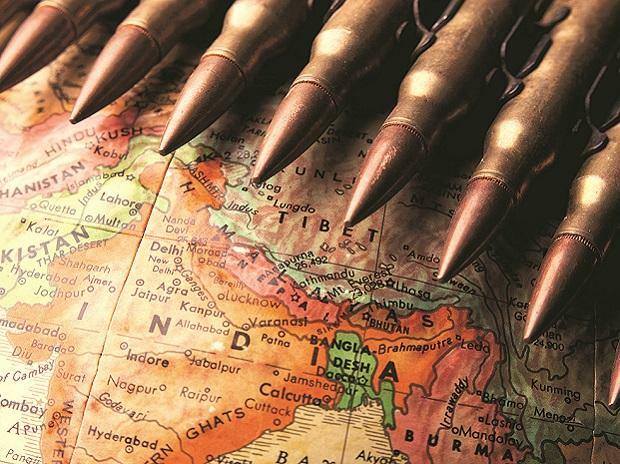 But, even more needless is South Asia’s desire to fritter away national energy in confrontation and saber-rattling when it is growth and productivity that need attention.